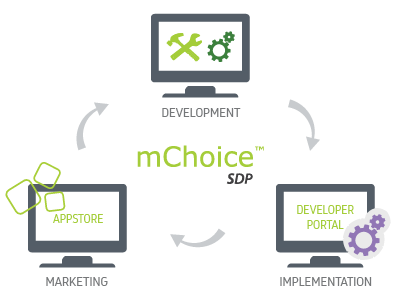 SDP is a Next Generation Platform that helps Telcos to deploy new telco services faster, at a lower cost. The platform has the flexibility to plug-in multiple Telco Network Assets such as SMS, MMS, USSD, LBS, Voice, Diameter, WAP Push, CaaS, SIGTRAN and more. Service and Content Providers can test applications on the SDP test bed and seamlessly migrate to production with no impact to the system. With support for a wide messaging spectrum such as SMS, MMS, USSD, WAP/GPRS and Charging/Billing, hSenid SDP is designed with extendibility embedded in the architecture to facilitate next generation messaging infrastructure.